Mostly whimsy and drivel of no consequence. And CHEESE. All Nick Park fans and avid turophiles will be delighted to know that The Wallace & Gromit Movie: Curse of the Wererabbit, the first feature-length Wallace & Gromit movie, will be released this fall. Wallace and his loyal dog, Gromit, set out to discover the mystery behind the garden sabotage that plagues their village and threatens the annual giant vegetable growing contest. 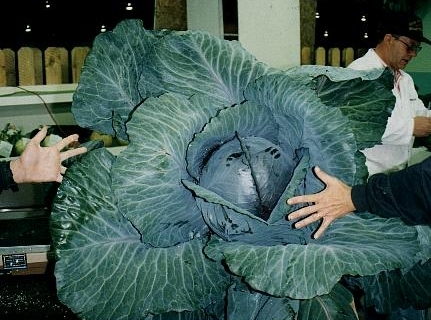 Speaking of giant vegetables, here is the winner of the Guinness Book of World Record‘s award for largest cabbage. Kate Bartholomew: This is the only article, Hon. Paisley: Kate, thank you for making a scholarship with Evan but please do not put me in anymore of your articles. Sandra: Where can I buy the farting salt and pepper shakers?